Students enrolled at a degree granting institution during the current year are eligible for free membership rates under the Association Partner membership category. Student Members to complete the 2019 NYAMA Membership Application and select the association partner option for your complimentary membership to NYAMA. 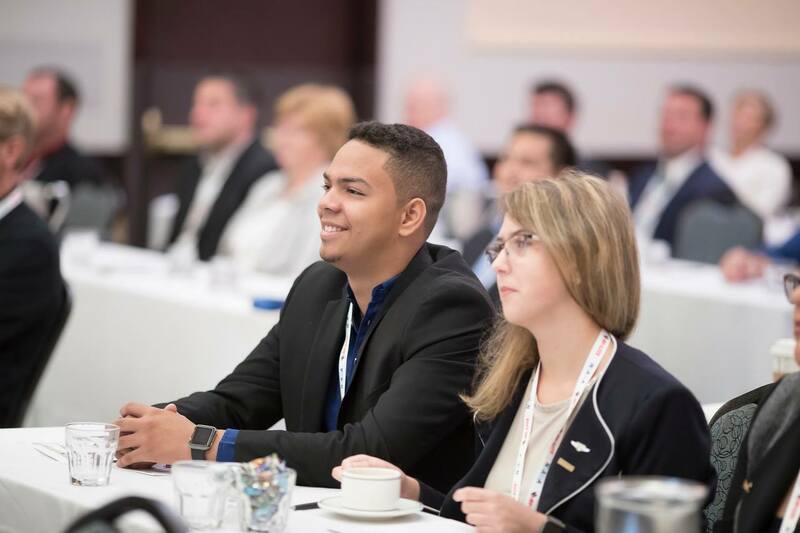 In an ongoing effort to ensure the future of the aviation profession, NYAMA offers complimentary registration and a travel stipend to a number of New York State Aviation Students for our signature events. We encourage students to take advantage of this great opportunity! Don’t miss your chance to attend our premier aviation events and have the opportunity to network with industry professionals! NYAMA will be extending complimentary registration and travel stipends to aviation students from New York State as space permits. Click the above link for more details. Please call the NYAMA Headquarters at 518 687-2241 with any questions.